Pearl Izumi's best-selling mountain bike short has earned its excellent reputation. The Canyon Short's outer layer is made of lightweight stretch fabric for great freedom of movement. The attached liner features Pearl Izumi's comfortable 3D Tour Chamois® and offers a comfortable ride, while the short's pared-down style looks great off the bike. Transfer stretch fabric with Direct Vent panels wicks moisture and ventilates for all-day comfort. Other features include a snap front closure and a single zippered front pocket. 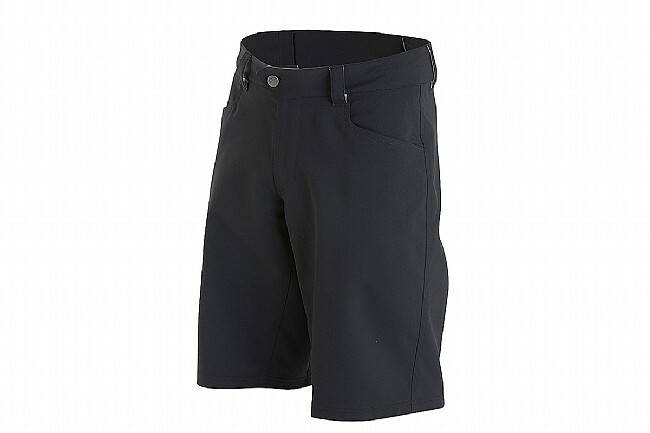 The Canyon Short is available in Black and Shadow Grey/Black.